Happy Holidays from the West End BIA and Vancouver Pride! 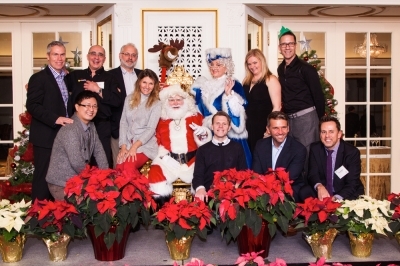 Members of the West End BIA Board and Vancouver Pride Society connected earlier this month at Tourism Vancouver‘s Olde Fashioned Christmas Lunch to recognize the growing partnership and toast the season. The group is seen here getting their photo taken with Santa Claus and Mrs. Claus. On behalf of Executive Director Stephen Regan and the entire team at the West End BIA, we’d like to wish you and yours a very joyous holiday season and a prosperous 2015.